Click HERE to view a 320x240 QuickTime Streaming file in your QuickTime Player. 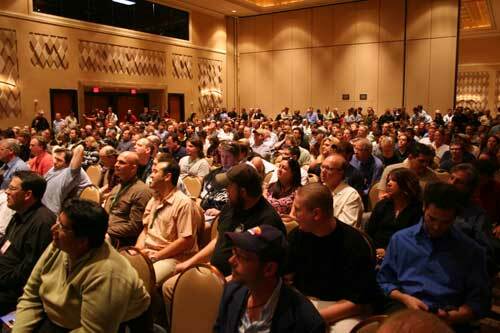 The 5th Annual FCPUG NAB SuperMeet took place at the Rio Hotel in Las Vegas, April 26 2006. The video features Yan Shvalb showing off Blackmagic Design's new "On Air." Also featured are 7 Show and Tells answering the question, "What Are You Doing with Final Cut Studio?" 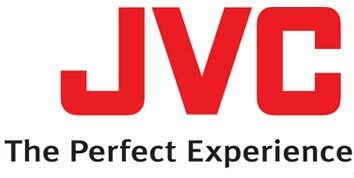 Plus Craig Yanagi and Ramy Katrib show off and talking about the JVC GY-HD100, 200 and 250 camcorders. Plus AJA's Jon Thorn talks about what's new from the world of AJA. Also featured are a brief introduction of the RED Camera by Ted Schilowitz and the RED team. And interviews with reps from Sony, G-Tech, Grass Valley, JVC, Blackmagic Design and AJA. Requires QuickTime Player 7.0.4 or better. Special thanks to Brent Bye for taping and Editing and Shane Mckinney for the motion graphics. Philip Hodgetts of DigitalProductionBuzz.com for encoding the iPod compatible progressive download. How much? Just $15.00 for online purchase (includes 3 raffle tickets). $20.00 at the door (includes one raffle ticket). Click HERE to buy your tickets. (NOTE: If you are having problems with registration, please email sfcutters@mac.com. This event is open to the public. Seating is first come first serve. Registration and Tickets are on sale NOW. You must register to attend this event. Hurry, as this event will most likely sell out. Hang around our sponsors in the Vendor area, meet and greet each other and generally eat, drink and be merry. FCP User Group leaders from around the world will be in attendance and we will introduce them to you. Who knows, you might have a FCP UG in your own back yard. "Guitar Planet," a reality show, set among the vineyards of Sonoma County, showcases the work of master luthier, Tom Ribbecke, as he faces the daily challenge of building his newly formed guitar factory while keeping his crew of social misfits in line, on budget and on schedule to produce the exquisite and most sought-after custom instruments on the market today. Carrier" is the first feature film by British born writer/director Paul-Didier Mogg. "Paved With Good Intentions" tells two stories; one following a repo man out to prove his estranged brother wasn't the golden boy everyone always thought. The second involves his dead brother, a corporate scandal and the truth. "Day of the Cabbage" is a 10 minute monster movie featuring an all-vegetable cast (including the monster!) It is a comic tribute to 60's Japanese kaiju films, as well as to the anarchic comedy of groups like the Firesign Theatre. "Zambian Forge" is a feature-length documentary (84 minutes) exploring the lives of refugees in Meheba Refugee Settlement within Zambia, Africa. "Hollywood UFO" (Feature Doc) Journey into a community of self-styled paranormal investigators and alleged abductees that stretches from East Hollywood to Nevada's Area 51. Four Clips containing approximately 2:16 of work I did for Fox Sports during Major League Baseball's 2005 Post Season. 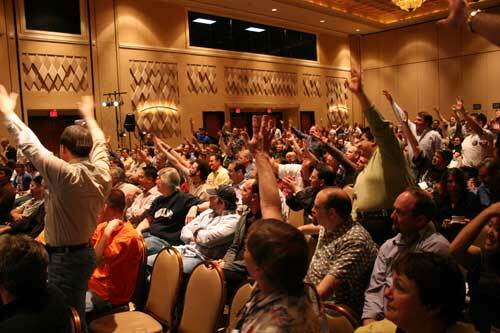 From Jon: ""What AJA announces at NAB is big... I mean BIG. People are gonna want to see this." Another chance to meet and greet, buy more raffle tickets, get your problems solved from the FCP Gurus walking around, talk to vendors, buy drinks, desperately search for any left over food, and stretch your legs. FCS product manager Paul Saconne and FCP product designer Brian Meaney will show and tell. There will be time for questions and feedback. With close to $60,000 worth of raffle prizes to give out we need to find a more appropriate name for this years raffle.